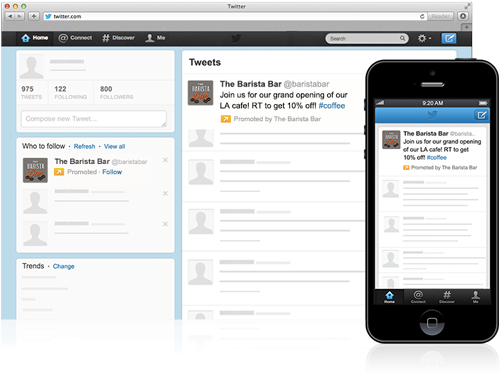 Twitter is most popular social networking website around the world. Kevin Weil, Senior Director of Product Twitter on Tuesday (30th April, 2013) announced that all businesses and individuals in the United States can now access its advertising tools, such as promoted accounts and tweets. Twitter Ads, launched in March last year, is a self-serve ad platform that anyone can access by going to business.twitter.com and answering a couple of questions before start. Click On "Start Advertising" or "Let's Go" button and Answer a couple of questions. 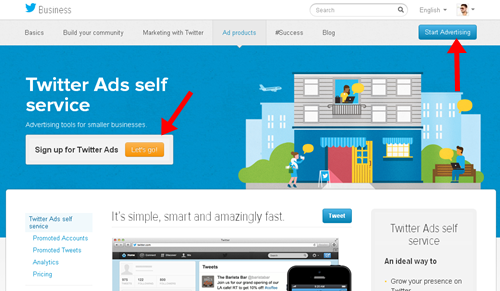 Its all done now you can start advertising with Twitter Ads service.